Jupiter has announced that they are going to Europe! 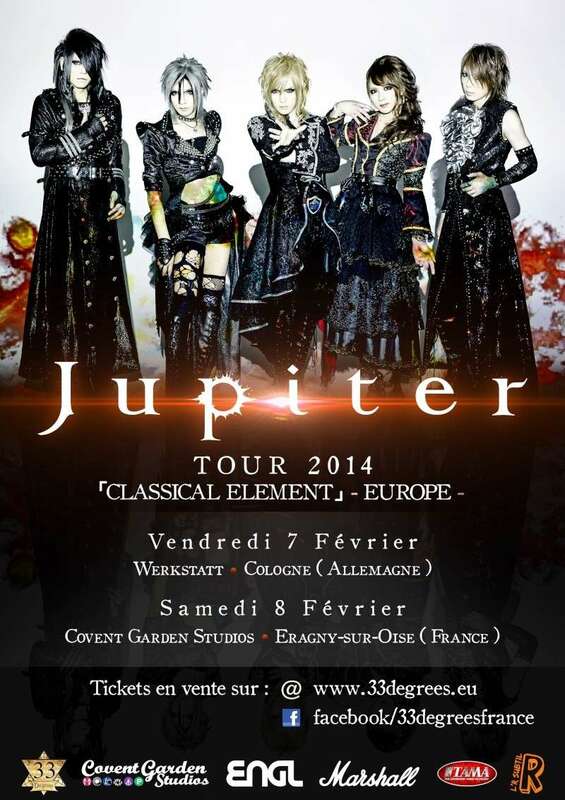 Tour is named “Jupiter TOUR 2014「CLASSICAL ELEMENT」-EUROPE-” and will take place in 2 countries. Organizers (33 Degrees) announced that ticket sales will start after 2 weeks on 9th November, so be ready and buy your tickets first. Regular ticket will cost 33€, premium ticket – 60€ and VIP ticket will be 80€.